Photo Blogs That are worth the time! Late for class I suppose is what you are thinking..well yes. Behind in my Psyc studies, but have acomplished great feats with my book. I have finally finished the first part of a fictional series and am working on book 2 while the first one is in the editing process. It will be a slow painful process, as all books are at some point, but I am excited and hope to get it on the move. I took this photo (before I ate them) last year. 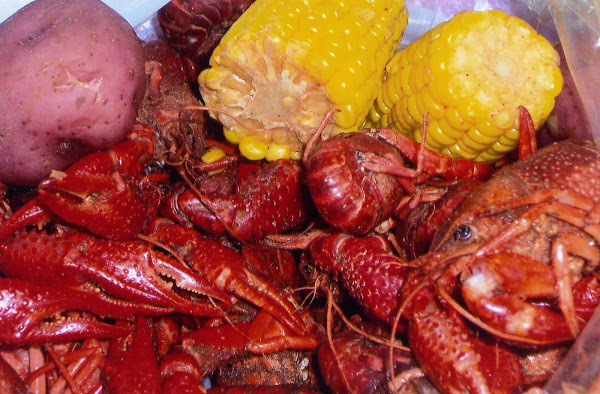 I love the deep red of Crab and Crawfish.